A week of clean eating is a good way to recover from the holidays, and a great way to get back on track with a healthy diet. Please read about fasting before you begin. During this week do not eat or drink any gluten, dairy, coffee, black tea, or sugar. A list of gluten free foods is at the end of this sample diet. Tip: eat your big meal at lunch or dinner, depending on your schedule and preference. Be sure to have 12 hours of fasting before you eat breakfast. 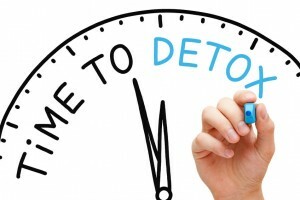 Your body needs a full 12 hours without food to spend its’ energy cleaning and detoxifying. 24 hour water fast. Be sure to drink 10 – 16 glasses of water. Dinner: Chicken, Fish or Turkey on the grill. Steamed Vegetables and Salad. Use tahini, olive oil and balsamic vinegar for seasoning. Breakfast: Cooked rice cereal with chopped almonds. Cook one cup jasmine rice in 2 cups water. Cook 15 – 20 minutes. Add 1 cup coconut milk and 1/4 tsp cinnamon and cook on low another 15 minutes. Stir in 1 tsp vanilla. Add chopped almonds and enjoy. Lunch: Chicken or Turkey rolled with Avocado in lettuce leaves. Drizzle with olive oil and balsamic vinegar. Sea salt and pepper to taste. No food after dinner. Allow for 12 full hours before breakfast. Snack: Delicious avocado dip: You can make this and store for a day in your fridge. In food processor: 1 avocado, 2 cups greens, 1 clove garlic, 1 tsp cumin, juice from 1/4 lemon, and 1/2 tsp sea salt. Eat with carrot sticks, celery or rice crackers. Sauté 1 onion, two sliced carrots, two stalks sliced celery about 5 minutes. Add 1/2 tsp herbs de provence and sauté another 2 minutes. Add 1 tsp dried yellow mustard, 32 ozs of vegetable broth, and three cans of drained and rinsed cannellini beans. Low boil for 15 minutes. Add cut up broccoli and cook another 6 – 8 minutes. Sea salt and pepper to taste. Lunch: Chicken or Turkey rolled with Avocado in lettuce leaves. Drizzle with olive oil and balsamic vinegar. Sea salt and pepper to taste. Add a little tahini for extra flavor. Dinner: Fish, rice cooked in chicken broth, and steamed vegetables. Marinade for Fish: 1/4 C gluten free soy sauce, 1 tsp grated ginger, 2 tsp agave nectar. Marinate fish a couple of hours before grilling. Breakfast: Eggs, steamed greens, and organic chicken sausage links. Sauté 1 onion, add 2 sliced carrots, 2 sliced celery stalks, 1 tsp cumin, and 1 tsp curry. Sauté another 2 minutes. Add 32 ozs vegetable broth, 3 cans rinsed black beans and low boil 20 minutes. Add broccoli and cook another 5 minutes. Stir in two big handfuls of greens, 3 – 4 Tbs of salsa, sea salt and pepper to taste. (Add more curry if desired.) Serve with organic corn tortilla chips. I like to break them up in my bowl and add the soup on top. Breakfast: Cooked rice cereal with chopped almonds. Cook one cup jasmine rice in 2 cups water. Cook 15 – 20 minutes. Add 1 cup coconut milk and 1/4 tsp cinnamon and cook on low another 15 minutes. Stir in 1 tsp vanilla. Add chopped almonds and enjoy. Lunch: Chicken and hummus with Avocado in lettuce leaves. Drizzle with olive oil and balsamic vinegar. Sea salt and pepper to taste. Dinner: Grilled chicken, quinoa cooked in chicken broth, and steamed vegetables. Marinade for chicken: 1/4 C gluten free soy sauce, 1 tsp sesame oil, 1 tsp dried mustard, 1 clove garlic minced, and 1 tsp agave nectar. Mix well. Dessert – You deserve it!! One 14 oz can of Coconut cream. Place in a bowl, Mix with mixer until creamy. Add 1 tsp vanilla extract, and 2 tsp agave nectar to sweeten and mix one more minute. (Add more agave if not sweet enough.) Cut up a bowl of fruit like mango, banana, peach, whatever sounds good to you. Add a large dollop of coconut cream and enjoy.